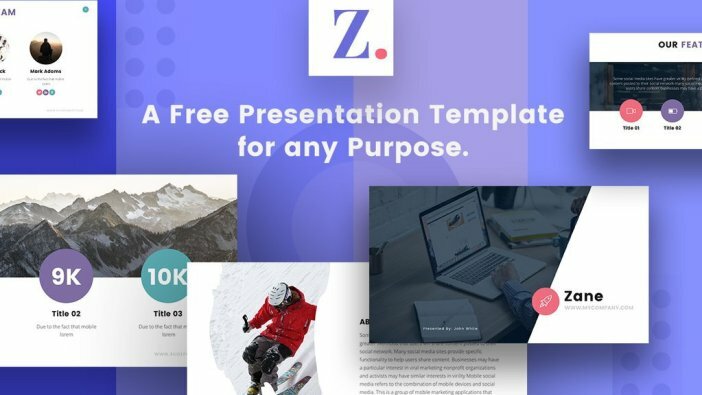 Download Zane Presentation Template for Free. Having the right presentation for the right audience might be troublesome if you are not skillful enough on building a presentation template. Besides being free, it is also fully compatible with Microsoft PowerPoint, Apple Keynote Theme, and Google Slides so you can choose the one you feel more comfortable with. You will be able to have the perfect presentation template for your display in no time and without effort since everything has been done for your convenience.